I recently wrote a White Paper on the subject of 3D Printing being the best way to connect students to the art of making something again as well as being a great opportunity for anyone to start a business out of their house for a very low cost. Innovation in technology is moving at warp speed and the skill sets to work in this new environment are very different from the skill sets required up to 2010. The advent of social media, holograms, VR Devices, Coding, Nano Technology, Medical advances, robotics and artificial intelligence, aerospace and automotive advances have pushed the envelope of rapid design and implementation to a new level. This has created excitement on one hand and fear on the other. For those under 35, the world is controlled in the palm of their hand via their smart phone. They can, in reality, take control of every aspect of their business and home life through this device. For most of this generation, not having access to the internet is more frightening than not eating for two days. Working in the digital world is second nature to the majority of this group. That is why they look at future employment from this vantage point as opposed to the working in a cubicle doing paper work or on the assembly floor or, God forbid, working with machinery. For this generation, working with 3D Printers is in complete alignment with their work philosophy. In order to print an object you must be able to create an object using some form of 3D modeling software. This gaming generation understands working in 3 dimensions and easily adapts to the skills required to create 3D models that can be built on 3D Printers. Even children as young as 6 years of age can grasp the concept of working with simple, browser based 3D modeling software like Tinkercad. Additionally, 3D Printing is cool. It is an easy way to create anything. Once a child holds something in their hand that they created the “a ha” moment takes place. They now see 3D Printing as a partner in their digital world. This is important as it hopefully creates the spark for them to continue to look at creating hard technologies part of their employment future. It is also the best way to get young people to consider moving into needed skills such as CNC operators or machinists and product specialists. You can view the White Paper on our website at: http://www.liteworldllc.com or you can contact me directly at: donmusilli@liteworldllc.com. 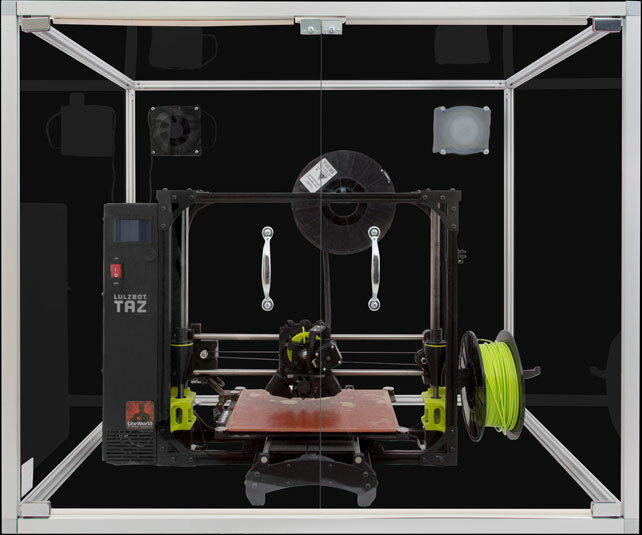 LiteWorld is an authorized reseller for the LulzBot line of TAZ 3D Printers and our own LiteWorld enclosure.